Name me an athlete who doesn’t have some type of pain after years of playing sports. I’ll bet you can’t name one. Whether it’s small lingering effects or on up to high levels of chronic pain, athletes all want to extend their bodies’ abilities to play sports while still eliminating the accompanying pain. I had an opportunity to interview Dr. Eric Cerre, a naturopath who, after experiencing years of undiagnosed and untreated chronic pain, himself, has gained a reputation for providing extraordinary pain relief for others, including athletes. Eric Carlyle: Did you always know you wanted to be a naturopath, Dr. Cerre? 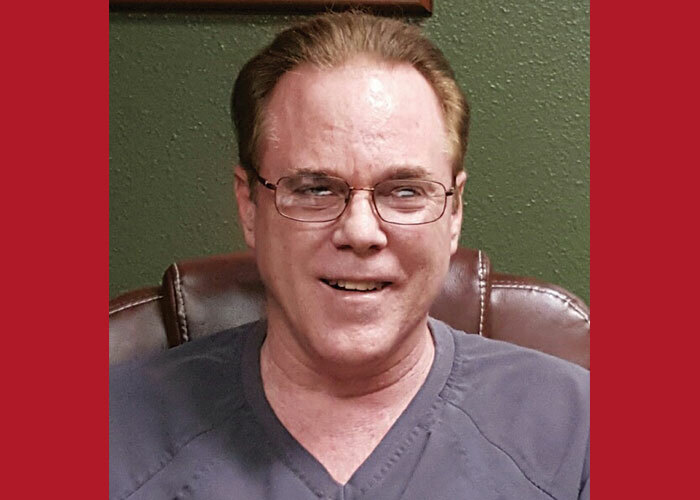 Dr. Eric Cerre: Actually, I began my medical career as a chiropractor in Texas, practicing for over 20 years. A medical doctor in our office started to train me in a technique of pain management using trigger point injection. He was a protégé of Dr. Janet Travell, famous for pioneering treatment of myofascial pain who served as personal physician to President John F. Kennedy. It is her technique that I now use in my practice. EC: So that’s what led you into the field of naturopathy, then? DrC: Yes, after training for six years with Dr. Travell’s protégé, I decided to become a naturopathic medical doctor so I could use trigger point injections on people instead of horses. After attending the Southwest College of Naturopathic Medicine in Tempe, Arizona, I opened my practice in Chandler, Arizona in 2010. I use trigger point injections for pain or injuries in all parts of your body – headaches, migraines, carpel tunnel, Achilles tendon pain, etc. Your injuries may have been from a sports injury, a motor vehicle accident or just living life. EC: But what happens if your pain isn’t better after this treatment? DrC: Some injuries require more to get you back to your sport or just back to your own life. If your pain issues are not better after trigger point injections, then in those cases I also can perform PRP – Platelet Rich Plasma, also called Stem Cell Therapy. PRP uses your own blood that is drawn in our office, processed in a special centrifuge and injected into the injured area. I have had great success using PRP. This is a non-surgical procedure that is very effective in healing and retraining your injured muscles. PRP is also used for the P-Shot for men and the O-Shot for women. In addition to pain management, I work with patients needing some hormone therapy, be it thyroid, testosterone, estrogen, progesterone etc. Having balanced hormones is a key to your total body health and they’re also an important part of the P-Shot and O-Shot to help you receive the maximum benefits. EC: Not that horses aren’t athletic in their own right, but what kind of human athletes have you treated? DrC: I have treated professional athletes, marathon runners and weekend warriors – athletes that run the gamut from rodeo riders, race car drivers, swimmers, golfers to football and basketball players – you name it. As long as you follow my protocol for your treatment, you should be back to the top of your game after treatment. EC: What sports did you play growing up? DrC: Because of my life-long history of pain, I was not active in sports although I do enjoy watching the Arizona Cardinals play when I have some down time. My wife Mary Beth and I have worked hard running our business to help people with their pain. I am very thorough and want you to get better – my goal is really to get you back to the pain-free body you remember. Eric Carlyle, CEO of Compete Magazine, has played baseball and rugby and is a die-hard Dallas Cowboys fan.